Hannah Rogers (B.A. 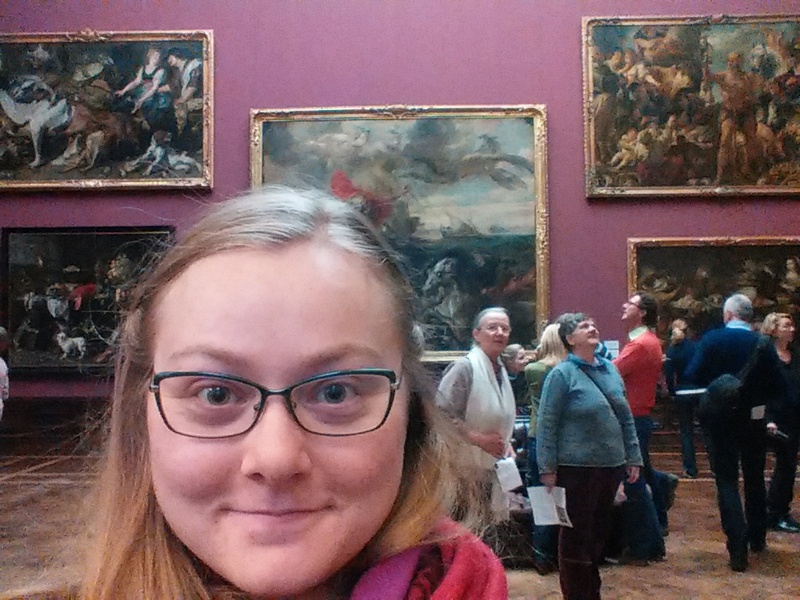 German, Fall 2015) was awarded a Fulbright English Teaching Assistant in German. Read her message below explaining the program and her life in Germany! “Hello, my name is Hannah Rogers, a recent graduate from K-State (Go Wildcats!). 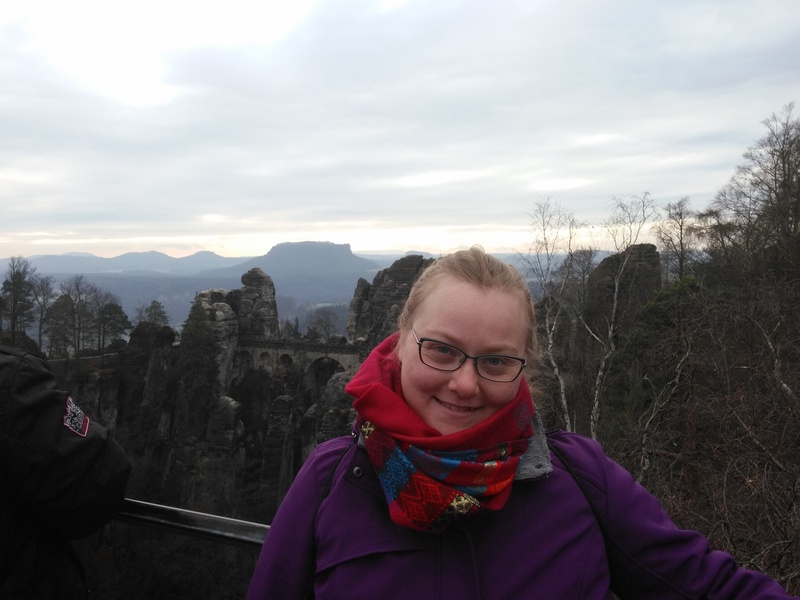 I am currently an English Teaching Assistant (ETA) with the Fulbright program and live on Island Usedom, Germany. I am one of 140 US American citizens working within the German school system to help teach English and be an ambassador from our country. Originally I thought the program was limited to only those who were interested in teaching English and that the ETAs are restricted to only aiding in the English classes, but through the first few months I have learned that is not the case. Most of my classes are English as a second language, but many of my fellow ETAs teach Math, Biology, Art, Music, and more at their schools. It is really a great opportunity for anyone who is interested in sharing their passions while learning about Germany and its amazing culture. I first heard about this program when I was in high school. It wasn’t until I came to K-State, and saw a display in Hale Library about competitive scholarships, that I seriously considered applying to the Fulbright Program. When I brought it up with my adviser, Dr. Necia Chronister, I learned that she had been involved in the Fulbright Research Grant and was excited to help me look into it for myself as well. I am very happy to have received the Fulbright ETA Grant and it is one of the best programs I have ever been involved with! At the moment I work a very flexible schedule. I work mostly with the upperclassmen at a Gymnasium (high school) to improve their listening skills and conversational English in order to prepare them for their Abitur (exams required to attend college). English Teaching Assistants are required to work 12-15 hours a week, so that leaves me with a lot of free time. I have been using that time to help tutor students who have recently immigrated to Germany and teach German as a second language. Have you participated in a Fulbright Program? If so, leave a comment and tell us about your experience! Visiting a museum in her free time! Way to go Hannah! You are making a difference in the world and we admire you. I was a Justus Liebig Universitat exchange student from KSU 1971-1972 so in hindsight I have realized so many times how important my year abroad was to my overall life and the people I have touched then and since then. It is a rich time full of new adventures, as you’re finding, that will impact your worldview the rest of your life. Enjoy! It is great hearing from a JLU alumni! Thank you! Bring here is an amazing experience. Hannah, I have a FB friend (who is also a friend of your Uncle Chris) who advocates for immigrants in the US. I can put you in touch with her if you like. She’s very nice. Thank you for sharing your experiences via this newsletter! Wishing you a safe and wonderful experience!! Alles gute zum Jahrestag, Rachel! !